1 ea. Model 5400PUB Pub Table: 20" diameter x 40" high. 2 ea. 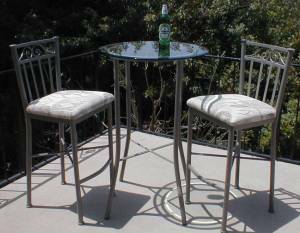 Model 504-30 Stools: 30" seat height. Send us an mail with your zip code for shipping costs.